If this week's Hyperloop news is anything to go by, things are really speeding up in Dubai. If you feel the need for speed, why not try Cycle 45 at The Platform? Compete against your fellow cyclists in a high intensity 45 minute indoor challenge. With a big screen display at the front of the studio, there's no shying away from your stats. At The Platform, you'll find the finest and most advanced indoor bikes from Stages Cycling, enabling you to get the most out of your 45 minutes in the saddle. To book a Cycle 45 class, download the Switch DXB app and search for The Platform. If you thought trampolining was just for children, you've obviously not experienced a Bounce Fit class. A one hour high intensity, low impact workout will have you giggling as much as it will sweating and you'll burn up to 1000 calories. You can now book free-jumping sessions and Bounce Fit classes on the Switch DXB app. 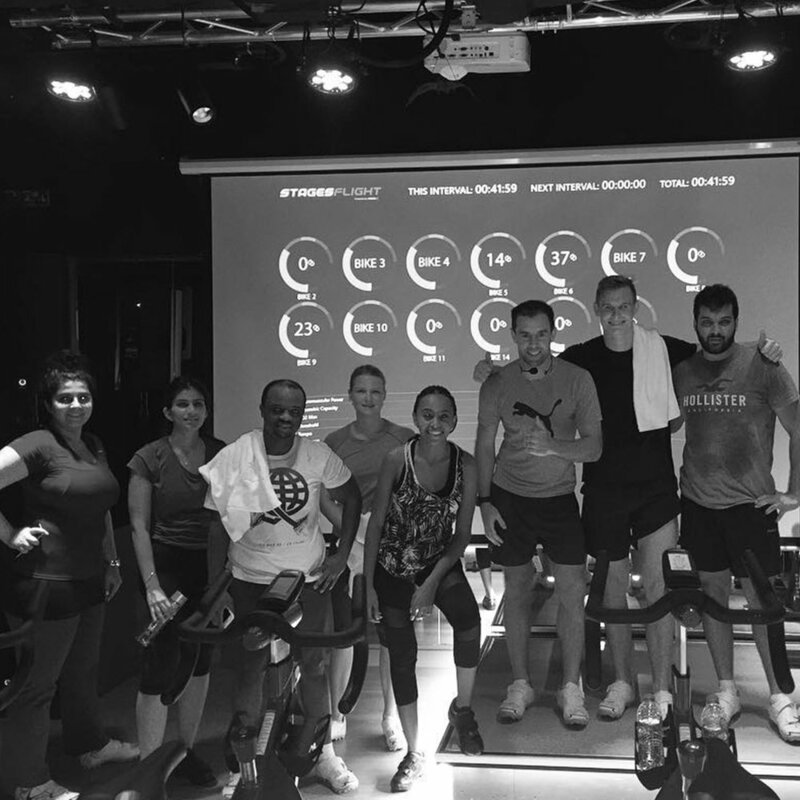 HIIT, Cycle, Yoga, Pilates, Barre, Boxing - whatever your workout, The Platform has a class for you. The Platform offer a range of small, focused classes in a calm sanctuary to escape the madness of city life. You can now book classes at The Platform on the Switch DXB app. Lead by Phill Robson, PR Sports Coaching offers training sessions tailored to helping you perform better at your chosen sport, such as golf, motor sports, boxing and athletics. If your goals are less about sport and more about your health and fitness, Phill will work with you to develop a programme that works for you. For a limited time, Phill is taking control of Uplift ME's free Saturday bootcamp, which is the perfect opportunity to workout with Phill and chat about your training and goals. To book a session with Phill, search for PR Sports Coaching on the Switch DXB app. To book for the free bootcamp, search for Uplift ME on the Switch DXB app. WE'RE CONSTANTLY ADDING NEW PROVIDERS TO THE switch dxb APP AND OUR PROVIDERS ARE ALWAYS ADDING NEW CLASSES / ACTIVITIES / locations to their schedules - SO CHECK THE APP REGULARLY TO FIND SOMETHING NEW TO TRY. WE'LL KEEP YOU UPDATED WITH NEW LAUNCHES ON OUR INSTAGRAM & FACEBOOK ACCOUNTS - SO MAKE SURE YOU FOLLOW US.